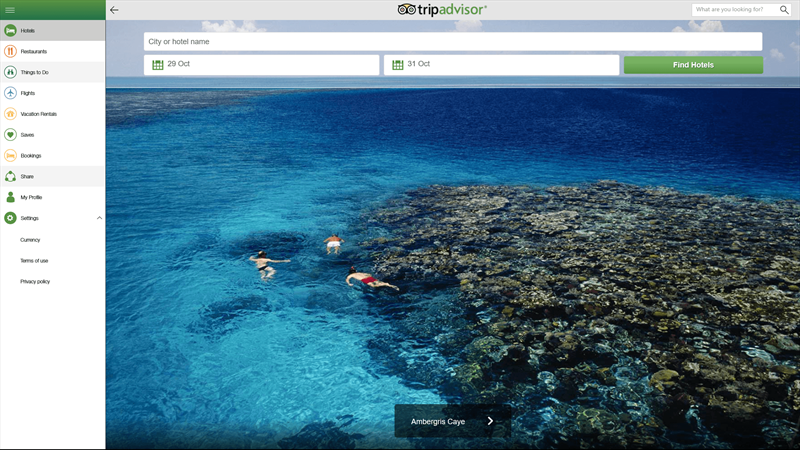 Tripadvisor has updated their app for Windows 10. TripAdvisor Hotels Flights Restaurants lets you lets easily book trips with the aid of millions of traveller reviews, photos and maps and offers over 250 million reviews and opinions, from travellers all around the world. The app makes it easy to find the lowest airfare, the best hotels, great restaurants and fun things to do, wherever you go. The latest update makes booking hotels, restaurants and flights just a tap away, with the ability to book hotel rooms with their partners without leaving the app. Find the update app in the Windows Store here.